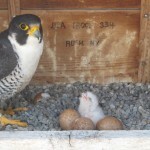 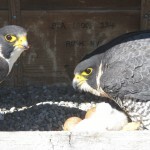 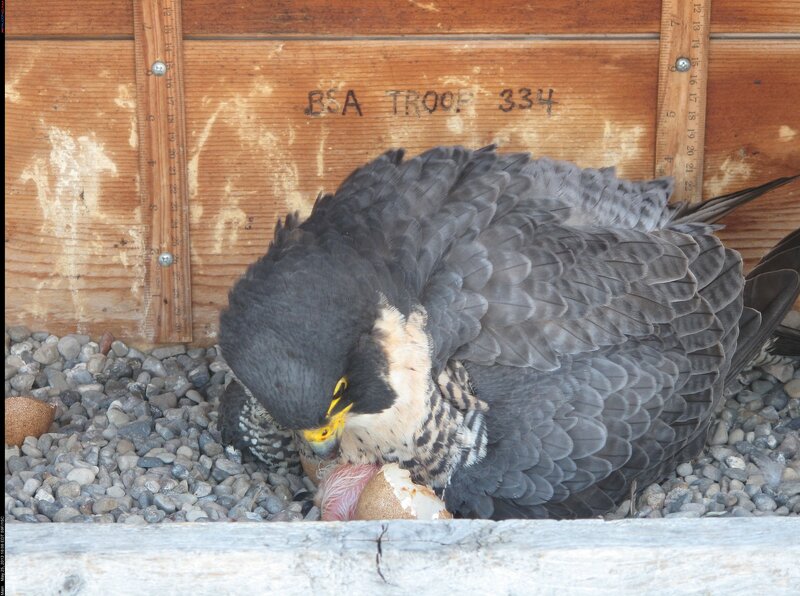 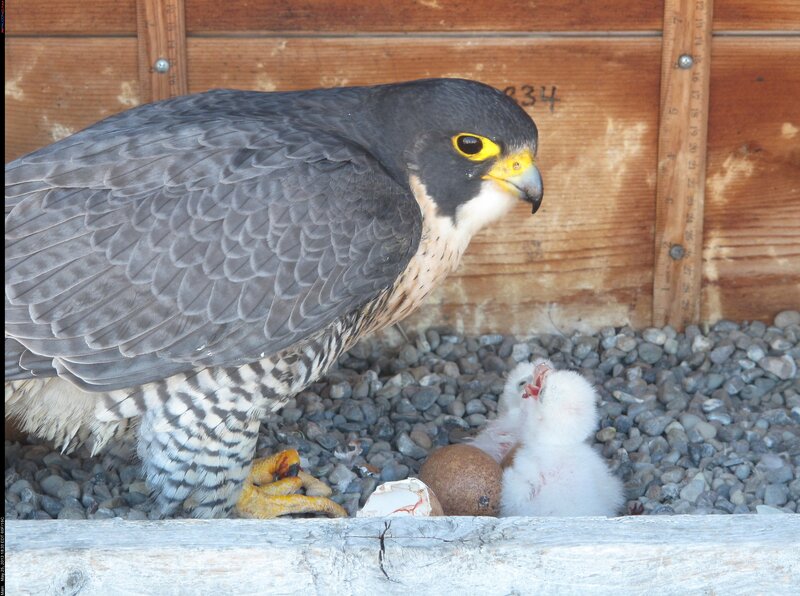 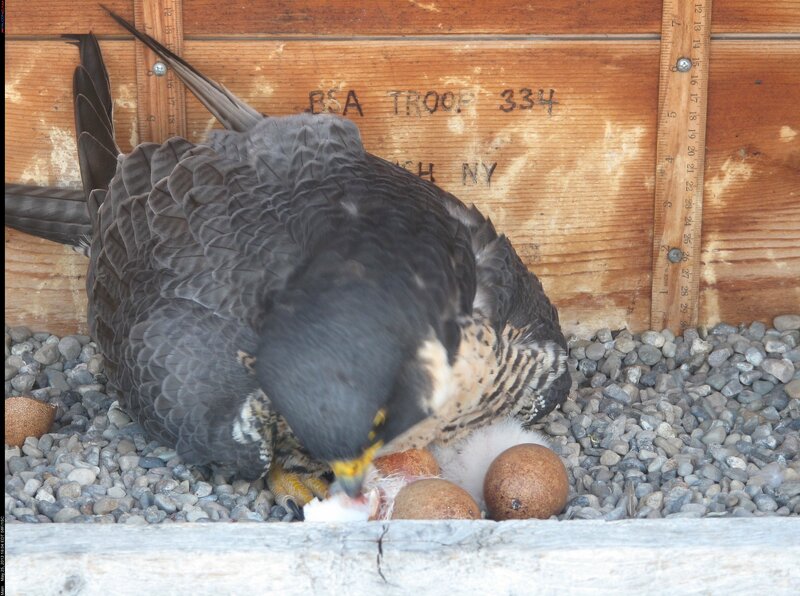 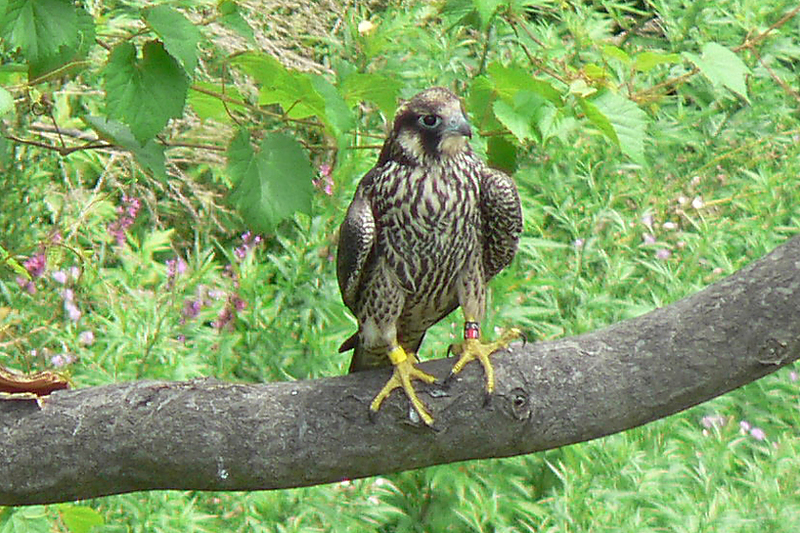 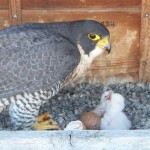 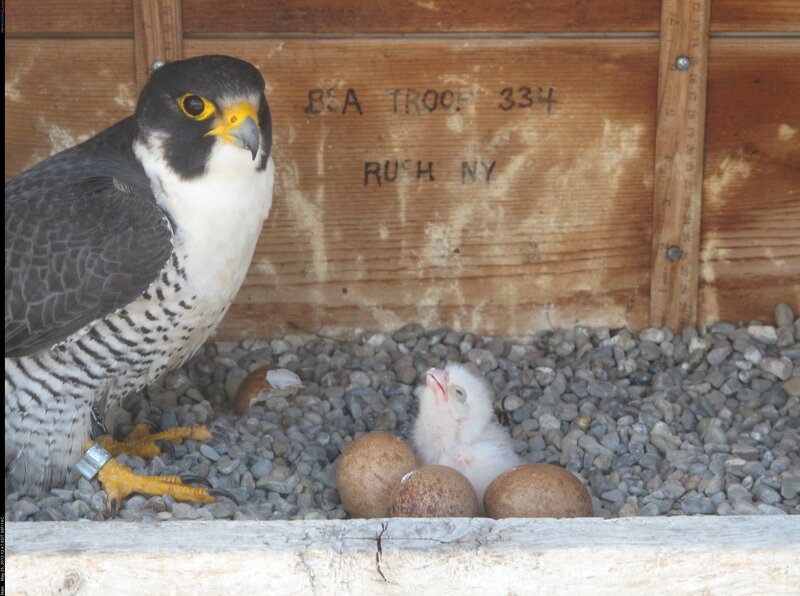 We are thrilled to announce the arrival of the newest addition to the Rochester Peregrine Falcons Beauty & Dot.ca’s family. 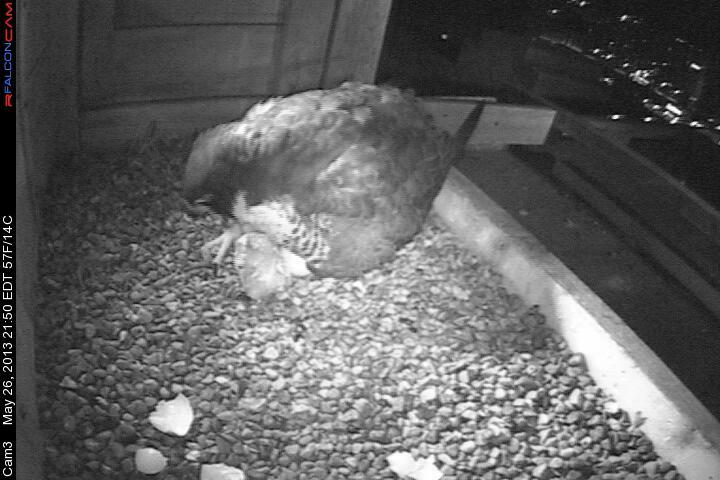 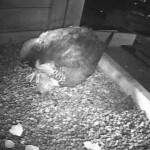 This evening at approximately 9:50 pm, a 3rd eyas hatched in the nest box on top of the Times Square building. 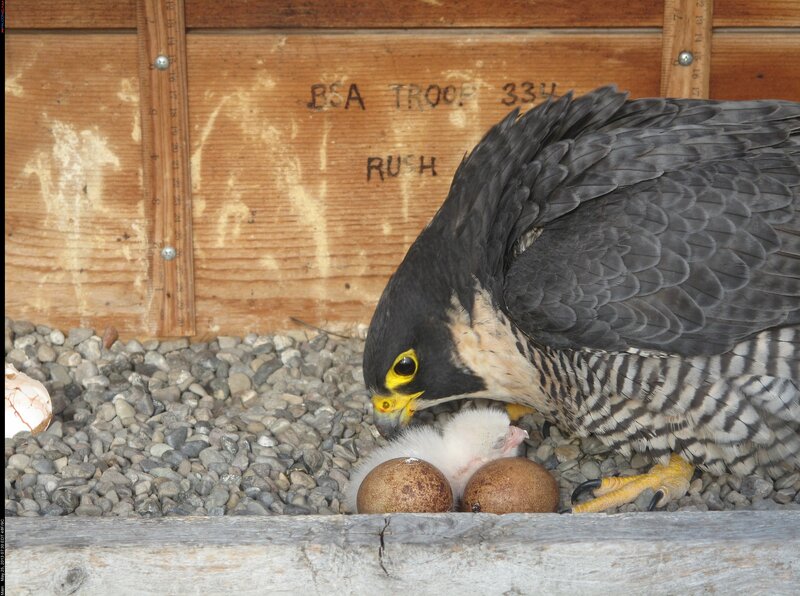 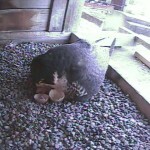 Here is a picture captured by the RFalconcam main camera today of Beauty & Dot.ca feeding their young. 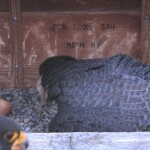 At 4:04 pm, this afternoon, a 2nd eyas hatched. 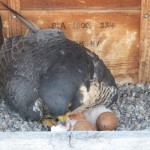 Two eggs remain. 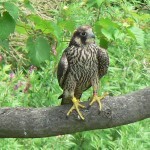 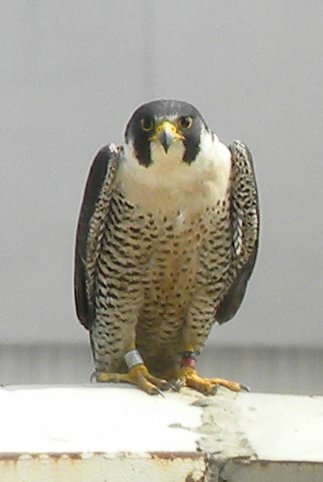 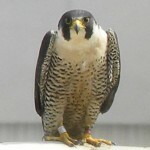 Falcon fans from around the world are watching the Rfalconcam cameras and live streaming video to see what happens next. 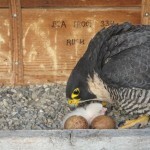 As We Wait for Hatch #2! 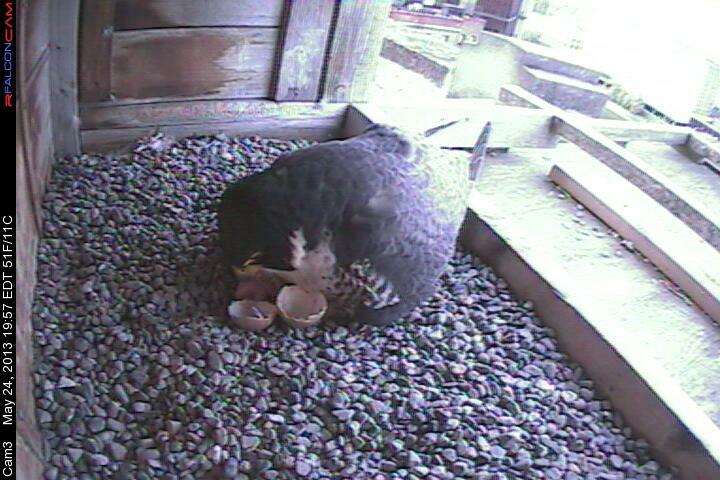 Here is a picture captured by our Main Camera this morning of Beauty and her first eyas. 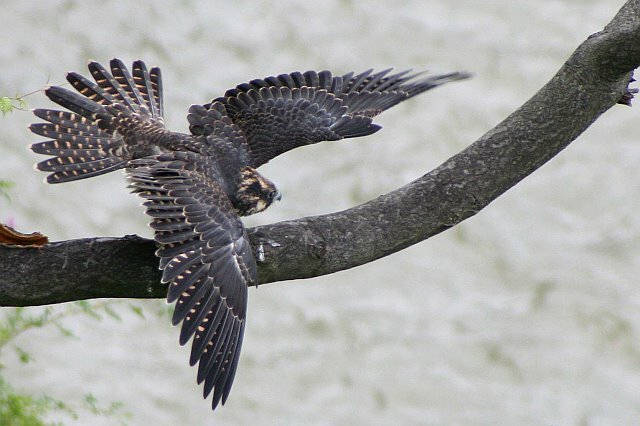 Be sure to click on the picture twice for a beautiful close-up! 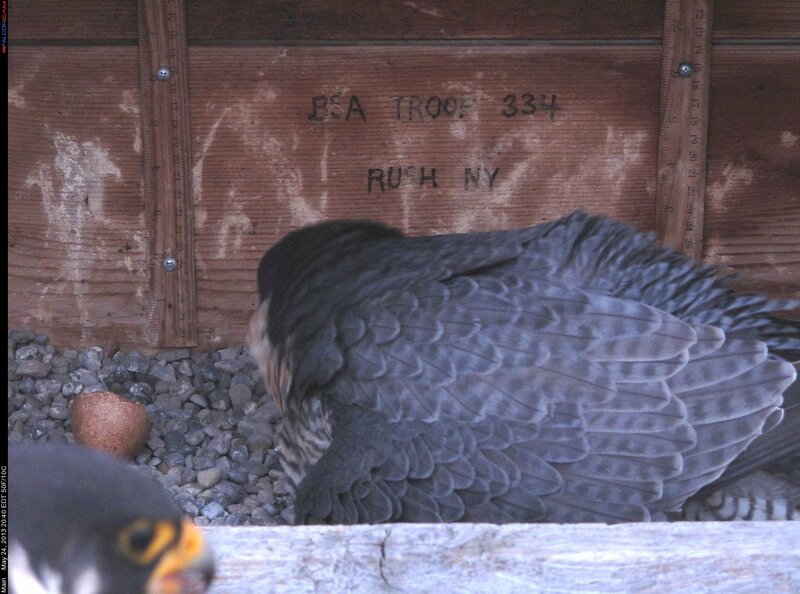 The two resident Rochester Falcons, Beauty and Dot.ca, have a new addition to their nest box on top of the Times Square Bldg in Downtown Rochester, NY. 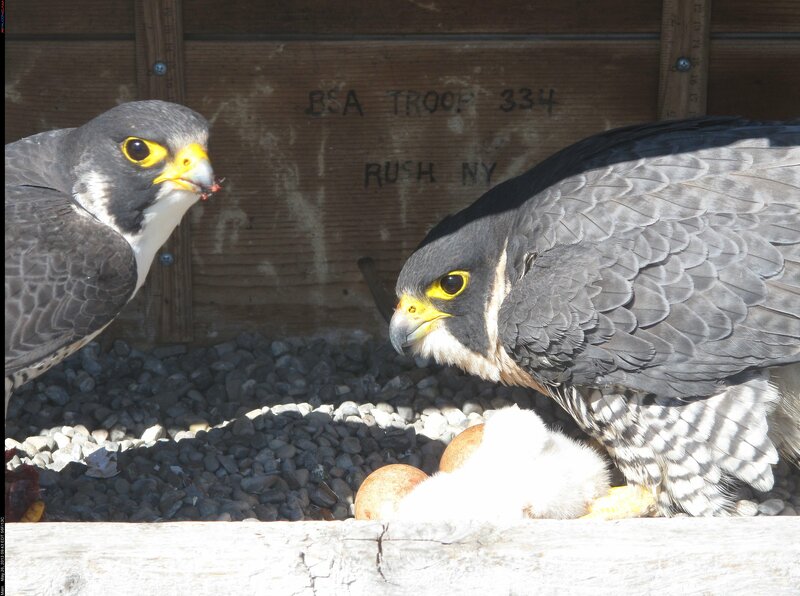 At approximately 7:55 pm, an eyas (a young Peregrine Falcon) hatched, to the delight of the many viewers from around the world watching the RFalconcam live streaming video. Just click on the following link to watch. Beauty has kept her eyas tucked under her to keep it warm, so we have not had a good look yet. 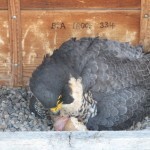 Here are some pictures from just after the eyas hatched. 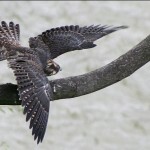 You are currently browsing the Imprints blog archives for May, 2013.